You have a license to use Sphere, you are now able to use all its features. You only need the account linked to the license. 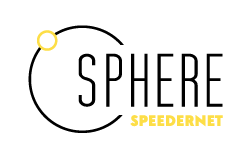 When you launch Sphere, click on "Sign In". Without signing in you won't be able to link your account to the Sphere version installed in your computer. You won't be able to export your projects for example. If you've forgotten your password, you can change it by clicking the "Forgot password?" link.